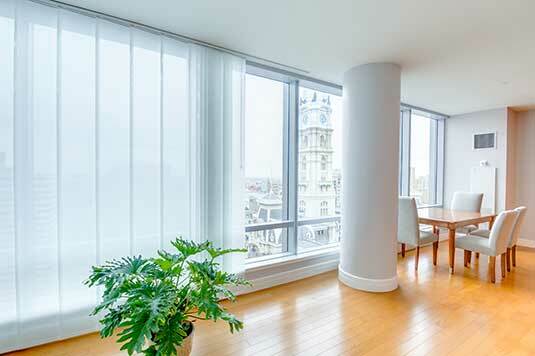 Allure Window Treatments carries top quality wooden and aluminum blinds in Philadelphia, PA. 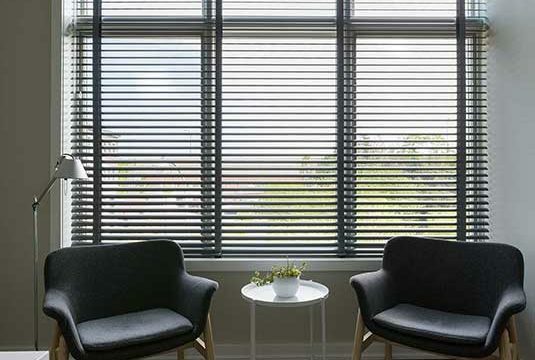 Window blinds are a familiar window treatment to many and continue to be a go-to, staple window covering for horizontal and vertical options for several reasons. 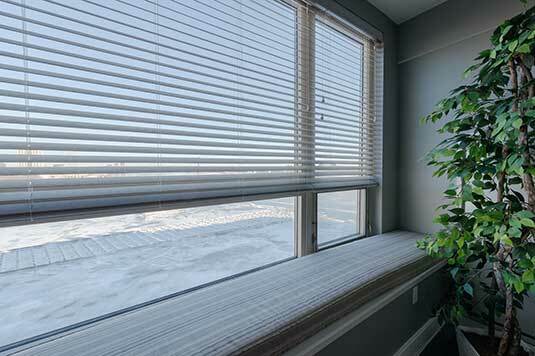 The adjustable nature of a blind’s thin slats to control light and privacy while the shade is lowered or traversed over the window makes it a versatile choice of covering. Blinds can be matched to enhance any décor – elegant to transitional to modern. The material options for blinds are aplenty with distressed and stained genuine hardwoods, affordable faux-woods, and sleek to rustic aluminums. Within the material options are a plethora of striking color and stain choices. An overall beautifully complete look can be achieved by adding a decorative valance, accented cloth tapes, and chic wand attachments to coordinate with a room’s interior style. Because the Philadelphia area hosts homes and buildings with a wealth of diverse architecture, our designers can help you find a blind to perfectly suit any room. Wood blinds are an excellent choice that will add enduring, rich, and warming ambient effects to any room in your home or workspace. Whether your taste is high-end and you have an affinity for hand-crafted authentic woods, or you love the look and feel of hardwood at a reasonable cost, there is a solution for you that comes with a life-time guarantee. Aluminum window blinds offer a clean, uncluttered appearance and superior durability that will grow with you in your home. Pair metal slats with real wood accents for a striking look or mix and match colors to create something totally unique. They are available with slats in earthy, natural tones, metallic that shimmers, or simple yet sophisticated matte colors.